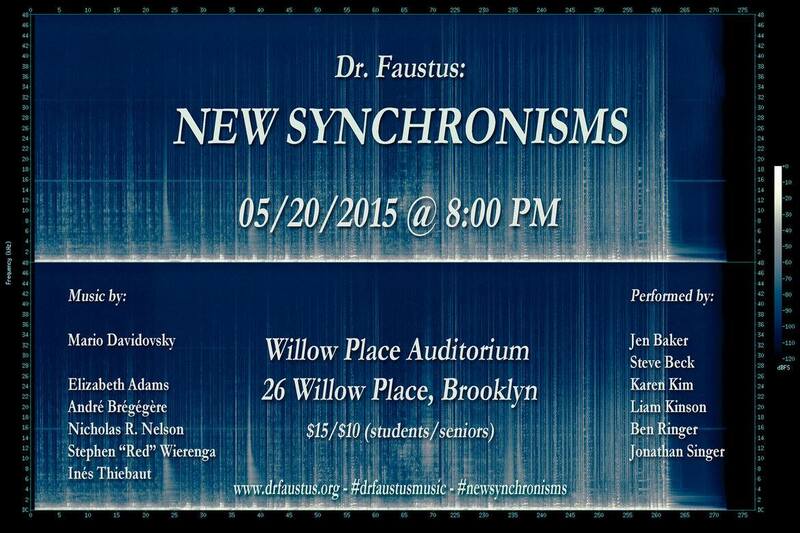 The Graduate Center Music Program is pleased to share that tomorrow, May 20th, 2015, the Dr. Faustus composers project will present its latest project, New Synchronisms, inspired by Mario Davidovsky’s eponymous compositions and will feature five world premieres of works for solo instrument and electronic sounds by GC composers Elizabeth Adams, André Brégégère, Nicholas R. Nelson, Inés Thiebaut, and Red Wierenga. The concert will also feature a roster of GC performers. 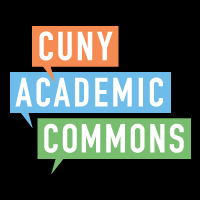 The concert will take place at Willow Place Auditorium, beginning at 8pm. 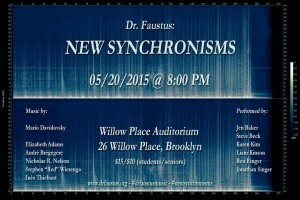 For more information, see: http://www.drfaustus.org/new-synchronisms.